Despite the popularity of “making money online”, to some who have never made a dime from the internet, such statement is unreal. It has been proven over and over that the main challenge people encounter while trying to make money online is absence of skills. Most work on the internet requires some basic skills. However, for those with a few to no skills, Cost Per Acquisition (CPA) is a great way to make some decent money online. Cost Per Acquisition is a marketing strategy whereby as a marketer, you get paid when you make people to take specific action such as signing up, submit an email or fill a form on behalf of your advertiser. While CPA looks interesting and easy to pull off, the major barrier preventing a lot of people from earning money from CPA offers is how to get traffic for their CPA offer at zero cost. This article examines the CPA free traffic methods that anyone can easily engage to earn money from CPA offers. Of all the CPA free traffic methods, content marketing has been proven to be foolproof. For those that are new to online marketing, content marketing is when you create any contents which include but not limited to articles, videos, audios, memes that adds values to the user. Content seeks to educate, entertain, inform or inspire people to take actions. Contrary to popular belief, content marketing is not only about articles, but articles seem to be the most pronounced of them all. You don’t have to spend a dime to enjoy CPA free traffic methods. Let’s take article writing as a case study, when you want to promote your CPA offers through article writing, you really don’t have to own a website, although having one will definitely be a plus. There are many popular websites and forums that allow you to post free content. Articles that benefit the audience can be used as a medium for promoting CPA offers. There are quite a lot of high profile websites that allow you to post articles that can be used as CPA free traffic method. Among such website is Medium while Quora is one of the most popular forums globally. Medium is a website that allows users to post articles free of charge. As a CPA marketer that wants to generate free traffic, you should learn how to professional create articles, which if beneficial to the audience can earn you a lot of shares and back-link for marketers that have websites. Through Medium, you get to showcase whatever CPA offers you are promoting to a large audience. Quora unlike Medium is a forum. There you can promote your offers by providing answers to the questions that people asked in the forum. Quora will allow you to directly post the link to your advertisers’ offers and you can use your website link as well. 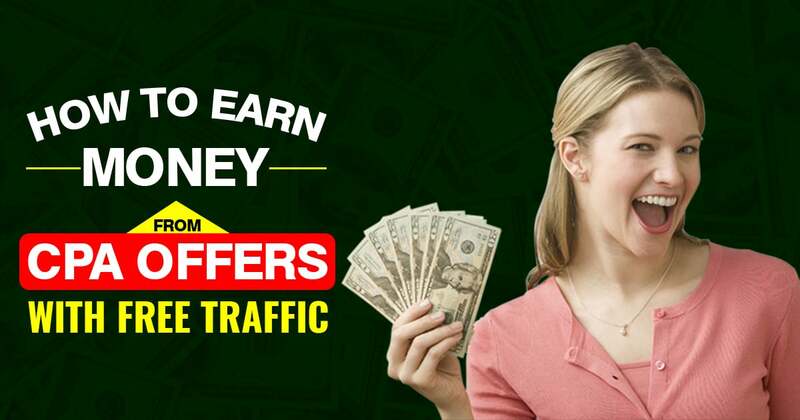 Another way to earn money from CPA offers using CPA free traffic methods is the use of social media. Facebook and Twitter are good for articles while Instagram is gradually catching up with YouTube in terms of marketing through video. As a CPA marketer, you can create videos with high-quality content. If such videos can go viral, you will definitely earn a huge amount of money without investing a dime. Regardless of the methods you prefer, CPA free traffic method is a great way to earn from CPA offer. However, you can of yourself a great deal of benefit by investing your time and energy in creating quality, relevant and beneficial contents. ← Micro Niche Blog Ideas – Event Blogging.